With more than 15 years of experience in the online gambling industry, Casino Extreme is regarded as one of the veterans on the market. Still, it stays up to date with the current trends and state-of-the-art technologies, offering its customers modern games and cross-platform compatibility. 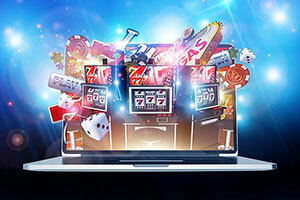 It is powered by RealTime Gaming software and hosts over a hundred online slots, as well as various video poker and table games, available for download or directly in-browser. Casino Extreme was established in 2000 but did not gain much popularity until a few years ago, when it was acquired by Anden Online N.V. 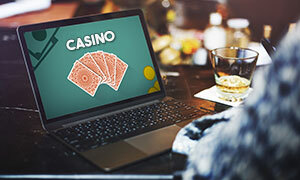 The gambling operator greatly improved the image of the casino, promising not just reliable, but also faster payouts, as well as fair gaming and higher levels of security. Today, Casino Extreme has an impeccable reputation as a safe, entertaining and customer-friendly gambling destination where players can enjoy generous bonuses and flexible payment methods, ranging from major credit card brands to modern e-wallets and even cryptocurrencies. Despite the name, playing at the online casino is quite a smooth and enjoyable experience. 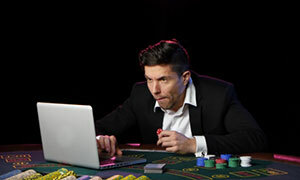 Players can either open their favourite games in the browsers of their PC and Mac computers or download the casino software, which allows them easy access from an icon on their desktop. Mobile play is also supported – instantly or through the new native app for Android devices, available for free download from the casino site. Indeed, the only things about Casino Extreme that are actually extreme are its sharp, sleek looks, and its wonderful promotions and six welcome bonuses of up to $/€3,000. Casino Extreme is committed to responsible gambling, fair play and customer protection. It uses sophisticated RNG (Random Number Generator) technology to ensure the results of the games cannot be manipulated, while at the same time, guarantees safety of personal and financial information by utilizing strong encryption protocols. Furthermore, the casino is licensed and regulated by the Curaçao eGaming authority. Online Since Launched in 2000, Casino Extreme is one of the oldest and most experienced web-based casinos. Today, it is owned and operated by Anden Online N.V. Minimum Deposit/Withdrawal The minimum deposit at the casino is $/€20, while the maximum amount players can top up their accounts with depends on their preferred payment method. The minimum withdrawal is also set at $/€20, with one exception – withdrawals using wire transfers cannot be less than $/€500 and there is a fixed processing fee of $/€50. After your request for withdrawal is approved, a maximum of $/€4,000 will be sent to you per week. No Deposit Bonus The online casino offers a $/€50 Sign-up bonus to all new players who still have not received any promotions. In order to get the no-deposit bonus, newcomers at Casino Extreme need to sign up and open the Cashier, where they will need to enter the code EXTREME50 and redeem it. It comes with a 30x wagering requirement and the maximum winnings are capped at $/€100. This bonus is available only to players from USA, Canada, Italy, France, Spain, Sweden, Norway, Finland, Australia and New Zealand. Welcome Bonus All new players can receive 100% match bonus on their first deposit of at least $/€20, but before topping up, they need to redeem the code EXTREME in the Cashier page. The maximum amount is $/€500 and it is given on the first six deposits. There is a playthrough requirement of 15 times the combined sum of the deposit and the bonus. 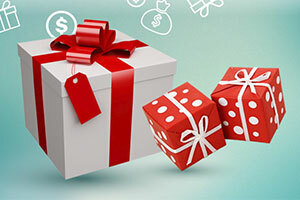 Regular Bonuses Casino Extreme has plenty of daily and weekly bonuses, as well as reload bonuses and many other promotions. Along with the standard bonuses, it has a dedicated section called Hot Offers. 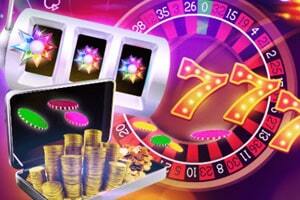 There, players can find remarkable promotions that will certainly make their stay in the casino worthwhile. Loyalty Programme All players at the casino enter the VIP Club with a Silver status and then, they progress to the higher tiers with every bet they place. Members receive 1 Comp Point per every $/€10 wagered and at 25,000 points, they acquire Gold VIP status. 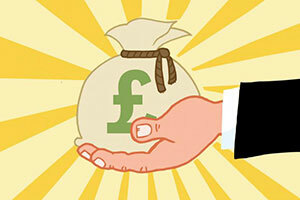 The programme has 5 tiers and it allows you to redeem your points for cash – 100 Comp Points can be converted into $/€1. Software The online casino is powered by RealTime Gaming and their popular software platform. Popular Jackpots Players at Casino Extreme can try their luck at plenty of progressive jackpot games including Cleopatra’s Gold, Aztec’s Millions, Jackpot Pinatas, Megasaur, Spirit of the Inca, and more. Game Types Casino Extreme offers a diverse collection of games, comprising of popular online slots, video poker variations, as well as virtual roulette, blackjack, and poker games. There are also other classic table casino games and several lottery-like offerings. Live Casino RealTime Gaming does not supply live dealer games and as the casino runs on RTG software, it currently does not have a Live Casino section. Mobile Casino Along with the Casino Extreme Android app, there is a smooth, responsive mobile casino available to users of iOS, Windows and BlackBerry-powered devices. Many of RTG’s most popular games can be played and all casino functionalities are preserved in the mobile version. Deposit Methods Casino Extreme accepts deposits through the following methods – Visa, MasterCard, Neteller, Skrill, UpayCard, EcoPayz, and Paysafecard. The online casino also welcomes Bitcoin payments and for those who prefer more traditional methods, it offers wire transfers. Currencies Players can make payments in two currencies – EUR or USD, but Bitcoins are perfect for secure and anonymous payments, as well. Languages The online casino is available in English only. Support Casino Extreme has an excellent customer support that can be reached at any time of the day via email (support@casinoextreme.com), Live Chat, phone (+1 800 532 4561 toll-free for the US and Canada) or even fax. Licenses Anden Online N.V., the operator behind Casino Extreme, is licensed for gambling operations under the jurisdiction of Curaçao. Casino Extreme operates all of its games on software supplied by the highly acclaimed developer RealTime Gaming. The casino’s gaming library pretty much consists of the standard suite of RTG titles, which is to say you can expect plenty of video slots alongside some classic table games, scratchcards, and video poker. The quality of the games ranges depending on their release date but with such a vast choice of options, we promise you will not struggle for long before you find a title that you truly enjoy. The games with progressive jackpots are the order of the day at Casino Extreme, enabling the luckiest of players to walk away with enormous prizes. The lobby of Casino Extreme is toned down but should not be deemed a disadvantage. It is the other way around since it is exactly this simplicity that makes the website so easy to navigate. Players interested in opening accounts there are facing two options, the first one being instant play. The alternative is to download the casino’s secure software to install on your laptop or desktop computer. Gaming on the go is supported as well via the dedicated Android app or the mobile-friendly version of the website. Like most other RealTime Gaming-powered operators, Casino Extreme has mostly video slots to offer which makes it the go-to destination for many reel spinners seeking versatile themes and designs. Some of the slots are more impressive than others as they offer enhanced graphics, immersive audio, and a glitch-free gameplay for the ultimate reel spinning experience. Newcomers at the website will probably have no idea where to start so here are a few hints on the most popular slots offered by Casino Extreme. Asgard, Achilles, Aladdin’s Wishes, Ancient Gods, Ceasar’s Empire, and Bubble Bubble appear to be some of the most frequently played slots from the suite. The vast slots collection is categorised alphabetically which furthers the ease of use, especially if you have already liked a given game and intend to return to it during your next spinning session. Using the search box in the casino lobby will further save you time. Some of the RealTime Gaming releases available at Extreme Casino boast the so-called Feature Guarantee which, we assure you, is one of the most exciting functionalities an online slot can offer. 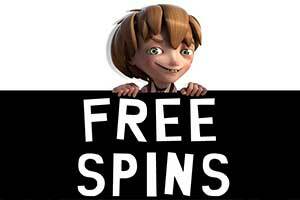 In these slots, the special features like free spins or bonus games get unlocked automatically when the player has gone through a predetermined number of spins in the base game. This functionality gives players the assurance they will sooner or later trigger a bonus game when the Feature Guarantee metre reaches zero. 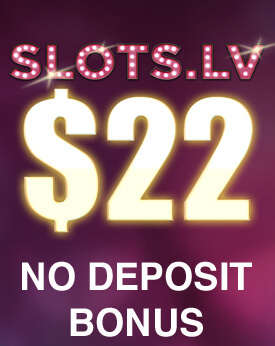 The slots of this type can be distinguished from the other games at Casino Extreme by the thumbnails that read “Feature Guarantee”. Popular Casino Extreme slots with this functionality include Aztec’s Treasure, Bulls & Bears, Hairway to Heaven, Megasaur, and It’s a Mystery. 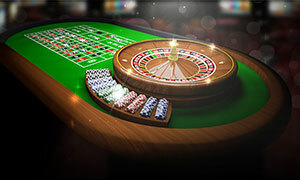 We are unhappy to report that roulette fans would not find much of a versatility at Casino Extreme’s website. The operator’s gaming library is short of roulette variations providing customers with a limited choice of three options only. You have a choice between two single-zero variations, namely French and European Roulette. It should be noted that these are not actually part of the casino’s Table Games collection but can be found under the Specialty Games tab where they keep company with other games of chance like keno and bingo. Both single-zero variants compensate for the lack of roulette diversity with user-friendliness and playability. The French variation, in particular, supports a variety of interesting racetrack bets giving you the chance to bet on red or black splits, Voisins du Zero, Orphelins, and Tiers. For some people, playing roulette is mostly a social experience. Casino Extreme caters to their preferences by offering them one multi-player variation of the game where they can root for fellow roulette players, exchange impressions, and play at a more leisurely pace. 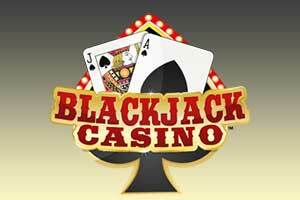 Fans of this traditional table game are greeted with a more comprehensive selection of blackjack variations although it is still smaller in size when compared to what some other operators offer. Casino Extreme compensates with the unique design of its blackjack varieties although some may argue there is more to be desired when it comes to the graphics’ crispness and the overall visual appeal. That being said, the RealTime Gaming blackjack variations offered by Casino Extreme play seamlessly enough to guarantee a pleasant gaming session despite their slightly outdated look. Casino Extreme players have a choice from about 8 varieties, including the classic version of the game. There is also the option to play European Blackjack for as little as $2 per hand, i.e. if you do not mind the absence of hole cards, which is the biggest peculiarity of this game. Those looking to earn extra payouts should most definitely try the Blackjack+Perfect Pairs variation. It plays like regular 21, the only difference being here you have a chance to post a small side bet on whether or not you will be dealt a pair of the same rank, colour or suit. Casino Extreme’s Table Games collection is also home to several other must-try blackjack variants that will appeal mostly to players who are tired of the standard version of the game. These include varieties like Super 21, Match Play 21, with all tens removed from the decks, and Face Up 21, which is practically RealTime Gaming’s take on Double Exposure. The games appear to be geared towards a low-betting clientele since the maximum limit at all virtual blackjack tables is $250 only. Casino Extreme players who are into video poker can pick and choose from a nice assortment of variations that are available for both single-hand and multi-hand play. There are about 12 distinct variants where you can bet on one hand at a time but all of these are also available in 3-hand, 10-hand, and 52-hand formats. Jacks or Better is easily the most popular variant among Casino Extreme’s players despite it being short-pay. Deuces Wild is also offered in a short-pay variant along with other video poker classics like All American Poker, Double Double Bonus Poker, Aces & Eights, and Joker Poker. One variant that instantly grabbed our attention was Double Double Jackpot Poker, which rewards your efforts with additional payouts for quads consisting of four aces or four face cards. Casino Extreme’s video poker collection also encompasses a couple of varieties that are unique to the RealTime Gaming software platform. The first of those is Loose Deuces, which awards increased odds for quads of deuces but returns reduced payouts for straight flushes and five-of-a-kind hands. The other must-try video poker variation at Casino Extreme is called Sevens Wild. Here you can bag additional prizes when you complete a royal flush with a wild seven or when you form quads with the wild cards only. All video poker variations at Casino Extreme accept between one and five coins per hand. Customers of Casino Extreme can end their betting sessions much richer since the website also features several games with progressive jackpots. One of the ways to achieve this is by hitting a random jackpot in one of the RealTime Gaming slots that offer this feature. However, if your goal is to become a millionaire, we recommend you shoot for the progressives like Spirit of the Inca, Megasaur, and Aztec’s Millions, which usually offer the biggest prizes because they are all linked in a jackpot network. Unlike the Random Jackpot games, here players are expected to meet specific conditions in order to receive the progressive pot. Aztec’s Millions drops its jackpot whenever someone forms a combination of five Aztec’s Million symbols on any of the 25 paylines. Megasaur’s progressive jackpot is also symbol-driven but it spans three different tiers. Spirit of the Inca offers four different jackpots and has a boiling point, meaning that the odds of hitting the jackpot increase when it reaches a specific amount. Casino Extreme recognises that as popular as slots are, not everyone is keen on playing them. The operator gives card players a chance to collect a progressive pot in a game of Caribbean Hold’em where your goal is to flop a royal flush after you have posted a progressive side bet of $1. The second option for poker sharks at Casino Extreme is to play the progressive Let’ Em Ride – you can win the entire jackpot or a portion of it as long as you have a flush or a higher-ranking hand and have contributed with a side bet. What payment methods can I use for depositing and withdrawing? Casino Extreme offers a wide range of secure and flexible payment methods, including MasterCard, Visa, Skrill, Neteller, UPayCard, EcoPayz, Paysafecard, wire transfers, and Bitcoin. Deposits and withdrawals are instantaneous and free of charge, but if you withdraw your winnings via wire transfer, it can take up to 5 business days to complete. 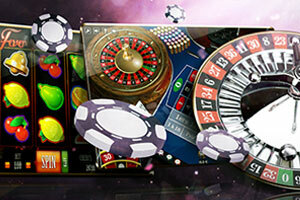 Note that before registering an account at Casino Extreme, you need to choose the currency you wish to use, EUR or USD. Can I play from my smartphone or other mobile devices? Mobile users can enjoy a great number of casino games directly from their phones and tablets. The dedicated Android app can be downloaded from the site and installed easily by following the step-by-step instructions available there. Users of iPhones, iPads, or devices running on Windows 10 Mobile, BlackBerry 10, and other mobile operating systems can simply load the casino in the browser of their phone or tablet. How can I receive the Welcome Bonus? Casino Extreme maximizes the gambling experience of newly registered players by giving them a Welcome Bonus of up to $/€3,000. In order to receive it, they need to register an account, log in, and open the Cashier section of the casino. There, players need to redeem the code EXTREME and then, make their first deposit. They will receive 100% match bonus of up to $/€500 and since this bonus code can be redeemed 6 times, the total amount of the welcome package is $/€3,000. 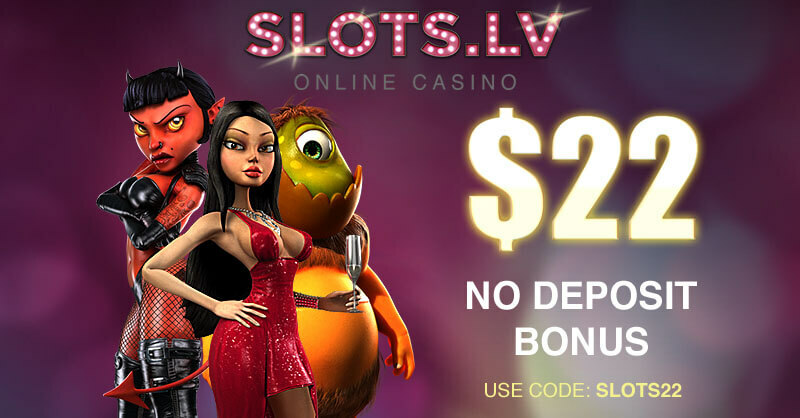 The minimum qualifying deposit for this offer is $/€20. Can players from every country sign up for real money account? No, the casino is available almost everywhere, but due to legal restrictions, it does not accept real money wagers from the following countries: Afghanistan, Albania, Armenia, Belarus, Bosnia and Herzegovina, Bulgaria, Costa Rica, Croatia, Estonia, Indonesia, Iran, Iraq, Israel, Kosovo, Macedonia, Malaysia, Moldova, Myanmar, Pakistan, Philippines, Serbia, and Zimbabwe.